The magic doesn't maintain itself. At Disneyland, skilled mechanics, engineers, and other craftsmen work around the clock to keep Walt's park working to pixie-dust perfection. This is their never-told story. Rand Boyd put on his ears in 1983 and went to work in one of the Disneyland warehouses. From there, as a full-fledged Teamster, he transferred to Maintenance Services, where his job took to him to every nook and cranny of the park, at all hours of the day and night. From painting the Matterhorn to rescuing horses that had fallen into the feed trough at the Circle-D Ranch and could not get out, no job was too big, too small, or too unusual for Disneyland's maintenance workers. 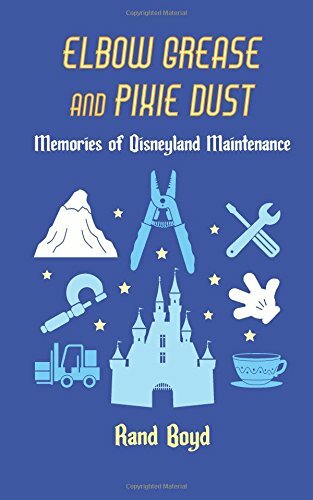 In Elbow Grease and Pixie Dust, Boyd immerses you in this essential but little-known aspect of Disneyland. But he tells another story as well—a love story, the Disney-like tale of how two kindred souls in Disneyland's maintenance department fell in love and went on to live happily ever after.